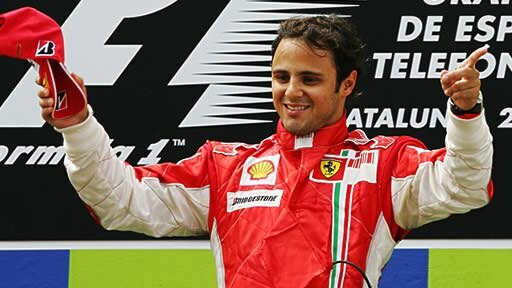 Massa hasn't really had an easy time of it recently. Following on from his strong, but disappointing, finish to 2008, the Ferrari hasn't really been up to scratch. It's understandable that the drivers confidence might not be as sky high as you would expect but just lately, they seem to have been very downbeat about this whole racing business. It's a surprise, particularly going into Bahrain, where Massa tends to do well, and the team have testing experience in the desert as well. I can only imagine what Rob Smedley is saying to his young ward right now. In fact, I did imagine what he was saying, and I formed into a little ditty that you might care to listen to. Here's my song to Massa, entitled Felipe Baby, that is intended to wish him good luck for the race tomorrow. Hopefully that does the trick. If not, Luca di Montezemolo is in town, and that will surely make the Ferrari's fly up the order. We'll find out tomorrow!